The word rat is enough to evoke fright and terror. Since time immemorial, rats are unwanted guests that creep in the shadows as they spread disease and feast on trash. And, if your dread of the small rats is not enough, what could be your reaction when you meet the top 10 biggest rat species that ever walked on the face of the planet? More than 100,000 years ago, monsters rule Anguilla’s Caribbean island. These monsters were rats two times bigger than humans. These beasts are the size of bears and were 1,000 times bigger than the rats you see in the sewers today. Slow and heavy, the creatures didn’t have predators. Fossil record proves their existence. Sunshine State is struggling to prevent the Gambian giant pouched rats from increasing in number. Over 10 years ago, eight of these giants were freed on the island in the Keys by a certain exotic pet breeder. It is believed that these rats can grow to 3 feet long and with a weight of 9 pounds. The Nutria is a South American rat weighing 6 kilograms. With their insatiable appetite for the aquatic vegetation, they are responsible for transforming wetlands to open water. Originally meant to serve as alternative to beaver fur trade, the attempt was unsuccessful and they are currently breeding out of control. During an investigative expedition in the crater of the already extinct Borsavi volcano located in the Papua New Guinea’s highlands, a rat of 32 inches in length was discovered weighing 3.3 pounds bearing thick silver-brown coat. So far, capybaras are the largest living rodents ever. They haunt South America’s steamy plains, topping out more than 45 kilograms, with a size that equal that of Labrador retrievers. While scientists excavated around Montevideo in Uruguay in 1981, they discovered the remains of a skull measuring 53 centimeters. It was bigger than that of a cow but had the unquestionable pair of incisors. 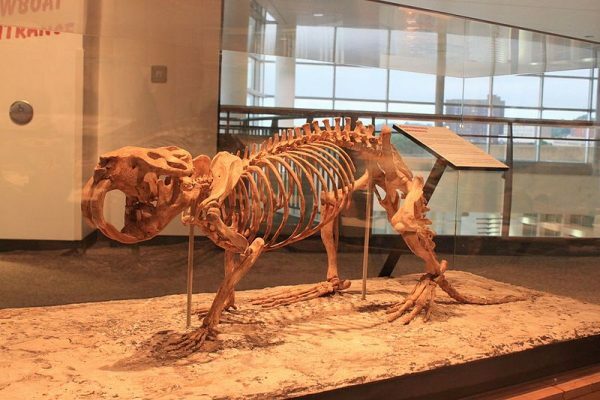 The remains were that of Josephoartigasia, the biggest rodent ever. The prehistoric beast is believed to dominate South America’s woodlands four million years ago. Not long ago, a large brown rat fell to an industrial sized snap trap in a kitchen in the Swedish suburbs. This creature was found to be more than 40 centimeters in length and was able to chew through solid concrete just to get inside the house. In the bamboo belt in China, rats are considered as livestock, raised for fur and meat. These Chinese bamboo rats are naturally big. However, the moment they become ready for the market, they can tip the scales to as much as 9 pounds, measuring 20 inches long. The delicacy costs four times the price of chicken and pork and is said to treat baldness. Gough Island is infested by killer rodents. There are two million of these creatures running rampant on the lonely outpost in South Atlantic. The bloodthirsty rodents are 50% bigger than mice in other places. New York City has been haunted by monster rodents long before sewer rat came to existence. In the past, Big Apple served as the home to Castoroides, beavers as large as bears which were 7 feet in length and more than 90 kilograms in weight. Find out the First Signs Of Your Dog's Pregnancy!